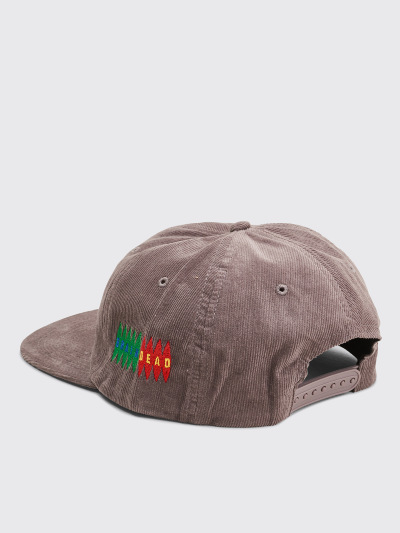 Cap from Brain Dead. Six-panel style made from corduroy. Vent holes on all panels, contrasting logo embroideries on the front and sides and an adjustable snap back. 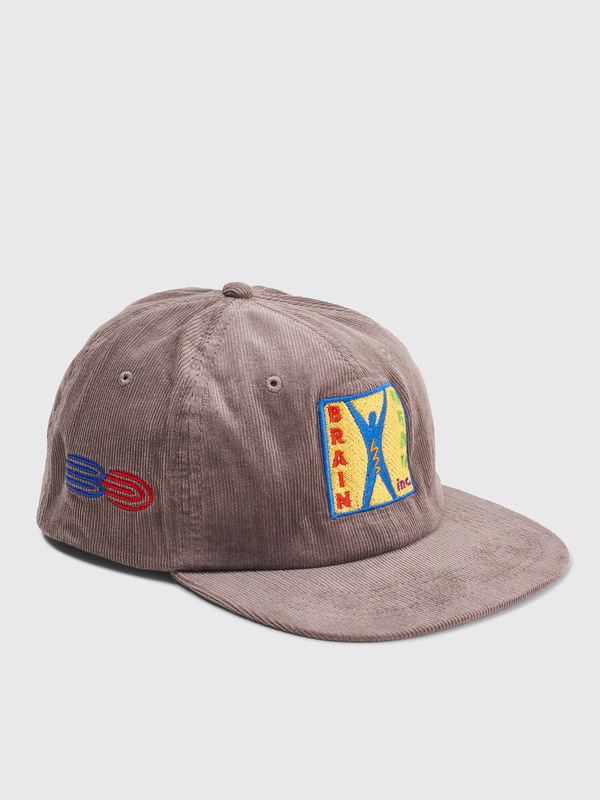 Grey cap with embroideries in yellow, red, blue, green and purple. One size, unconstructed cap with adjustable snap back.